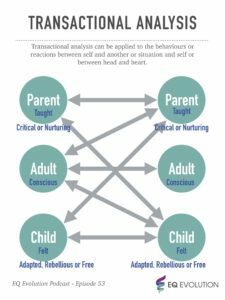 Listener suggestion: there is an opportunity to partake in a short exercise during this podcast on Transactional Analysis so if you feel inclined to do so please have a paper and pen ready for yourself. The Parent mind state comes from our taught concepts/beliefs. When we are in “parent” we come from a place of wanting to be in control. This control can show up as critical or nurturing in nature. The underlying attitude is ‘I’m okay, you’re not okay so do as I say or let me help you fix it and you’ll be okay’. 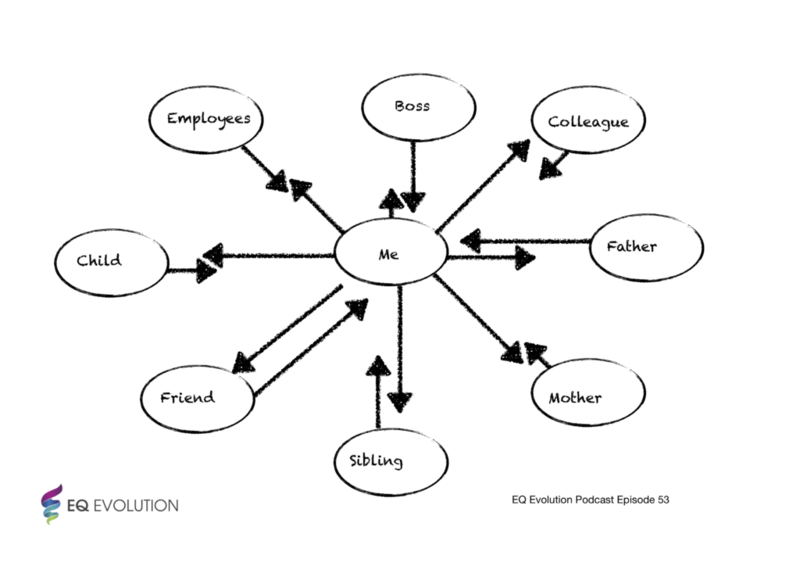 In a business situation this thinking grows dependence (on leaders/management) rather than interdependence. The person on the receiving end of behaviour lead by the “parent” is usually left feeling patronised.Self-awareness can lead one out of this state by inviting in trust towards others and life, and realising that one can only really be in control of oneself in order to maintain a constant feeling of safety and contentment in life. The child mind state comes from the feelings we experienced in the first 7 years of life. The underlying attitude is ‘I’m not okay, you’re okay’. The person feels powerless and experiences anger and resentment but does not outwardly express these feelings. In the case of the rebellious “child”, the feelings of anger and resentment are outwardly expressed and can often show up as a victim mentality. The free “child” shows no sense of consequential thinking. In this state there is a break from the connection to others or as having a role to play in society as a whole. The feeling may be of powerlessness and displays careless behaviour, which stems from beliefs around ‘what I say doesn’t matter anyway’. This is a conscious state. It is often developed through self-awareness. It displays self-control and the underlying attitude is ‘I’m okay, you’re okay’, even if we don’t agree. In the Adult mind state we seeks to understand others point of view. Once we have access to an adult mind state, a clearer viewing point becomes available to us and we can begin to review our relationships with others. When we begin to notice how we feel in certain interactions with others and identify the various power dynamics we experience with different people in our lives, we can start to employ empathy towards others by imagining what they might feel in similar situations. In this space people can focus on a common goal by working together rather than expending energy on defending different points of view. We move out of denial and resistance (as per the change model) and into a collaborative mind state that can contribute to social awareness and social impact. Being aware of the different mind states can help us to identify which ones we might default to in different situations. Once we’ve identified our behaviour patterns we can start to make use of tools that help us to move towards growth and out of old patterns of resistance.